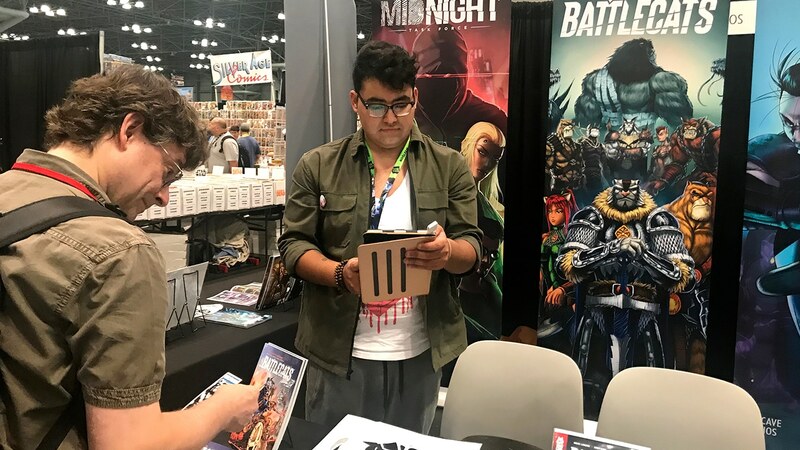 Thanks to all of you Cave Dwellers, New York City Comic-Con was our biggest Con yet! 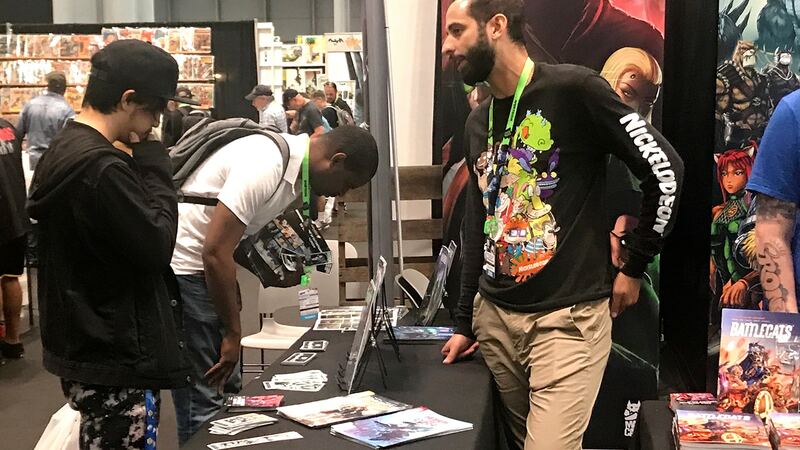 From meeting all of you MAD fans to catching up with old friends and announcing the future of the Cave, this NYCC 2018 was one to remember. 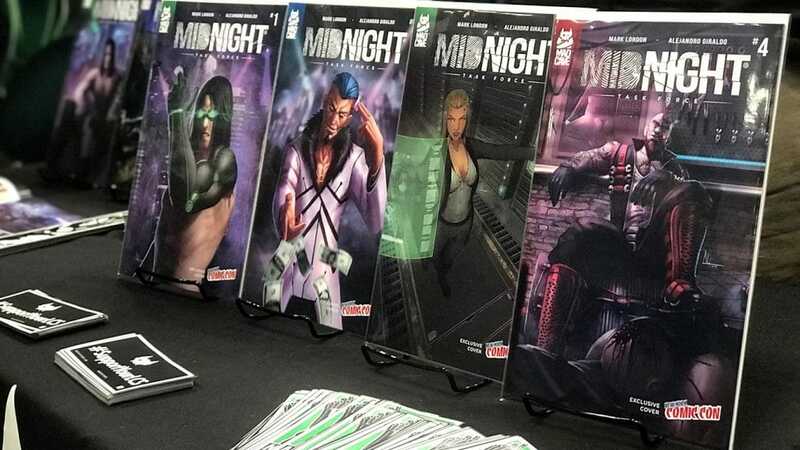 The support that we received is second to none and the perfect example of that is how our limited NYCC exclusive covers for Midnight Task Force and Battlecats were sold out… by Saturday! These limited covers showcased just how far Mad Cave is willing to go in the name of art with incredible covers by Michael Camelo and Alejandro Giraldo. The covers are so beautiful that they deserve to be framed. We want to give a big Mad Cave shout out to all those Cave Dwellers that showed us their support and now own a piece of MAD history. 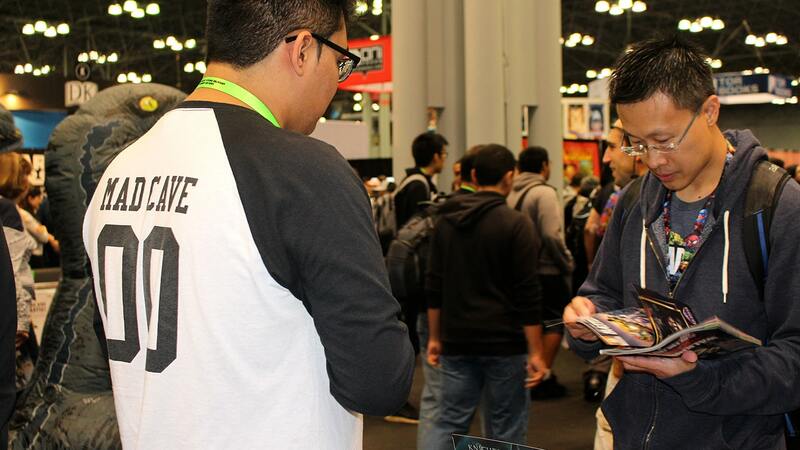 NYCC was the perfect place to announce our next incredible project, Honor & Curse. This all-new, supernatural, shinobi thriller comes to you from the Mad minds of Mark London (Battlecats, Midnight Task Force, Knights of The Golden Sun) and the talented duo of Nicolás Salamanca and Tekino. Preorders begin in December and you can get your hands on this Martial Arts inspired epic February 2019. Stay tuned for lots more exclusive sneak peeks in the coming weeks. This summer we asked the entire comics community to join in on our Mad Cave Talent Search. Our goal was to find hidden talent who are just waiting to break into comics.. Mission accomplished. We’ve selected five writers and four artists to be a part of the future of Mad Cave Studios. They’re already playing with Mad ideas and we can’t wait for you to see what’s cooking in the Cave! Thank you to everyone who submitted and we hope to see you again in next year’s Talent Search. 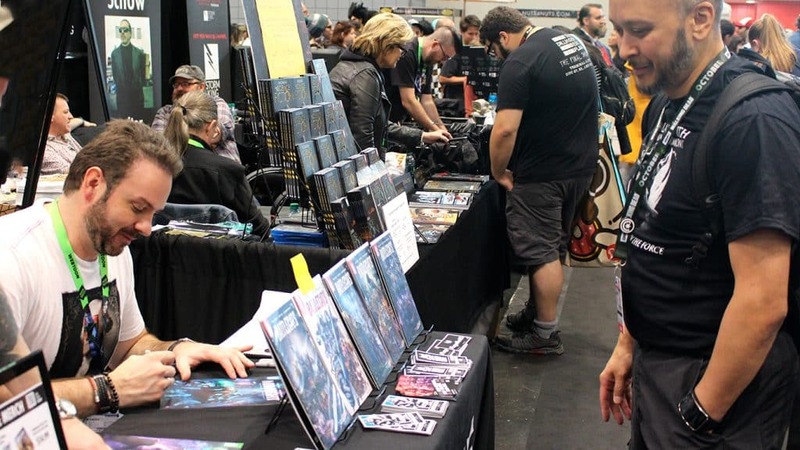 Meeting face to face with Cave Dwellers was the highlight of NYCC! All of the love and support on social media mean so much. 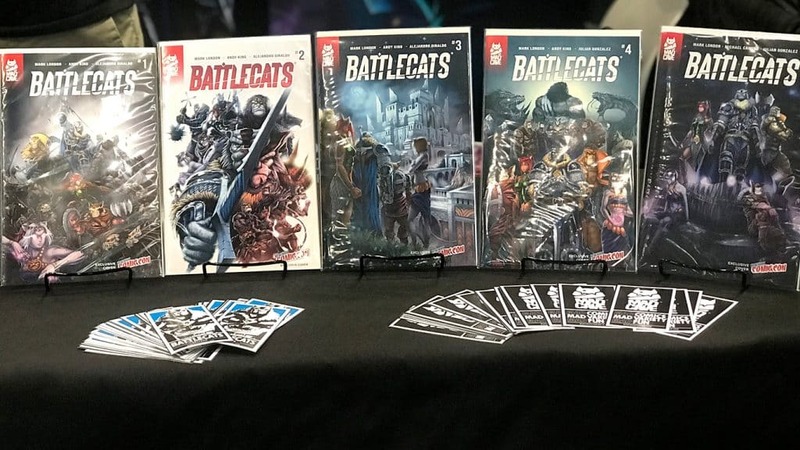 However, there is something different about seeing someone holding a copy Battlecats in their hands and telling us how awesome Kelthan is or how they love seeing the cyberpunk world brought to life in Midnight Task Force. Those small interactions are truly what makes everything worth it. Thank you, Cave Dwellers, for your continued support of Mad Cave Studios and we promise to see you again next year at New York Comic-Con 2019! Until next time, stay MAD!